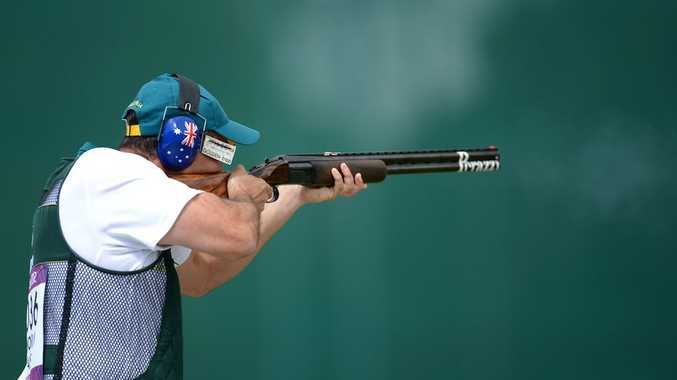 AUSTRALIAN shooter Michael Diamond has missed out on a medal in the men's trap at the London Olympics. Diamond headed into the final as the man the beat, after equalling his own world record with a score of 125 in the qualifiers. However, the Australian could not maintain his earlier standard, missing five shots in the final to fall into a bronze medal shoot-out with Kuwait's Fehaid Aldeehani. And after four shots, Aldeehani claimed third place after Diamond missed his final shot. Croatian Giovanni Cernogoraz won gold after beating Italian Massimo Fabbrizi in a shoot-out.